Grace and Shame go together like oil and water. Sometimes life makes us try to blend them like peanut butter and jelly, but really, they do not and cannot coincide. Have you ever had an oil and water sandwich? I didn’t think so. However, peanut and jelly, that stuff is a classic. If grace and shame cannot coexist then it’s important we know which team we’re siding with. Both sides involve a fight and at different parts in my life I’ve found myself on siding with different teams. I can assure you these two teams are not equal. Grace acknowledges our past choices, but has a bigger awareness of the POWER of the cross, forgiveness and the righteousness that covers us in spite of our own flaws. God’s power is BIGGER than our choices and past. Team Grace knows that God has taken our sin and funk and exchanged it for his righteousness. Talk about going from pauper to the palace. It’s humbling. It’s heart melting (not in a disney mushy way, but more in a hero saved me from the wreckage kind of way). It never gets easier to fully grasp how someone could love us like that, but it does become more and more empowering to walk in as you learn to accept and operate through the grace that has been gifted to us. Knowing you cannot ever earn grace, yet still get to enjoy the benefits of it, is life altering. Shame acknowledges our past choices and the garbage they have showered upon our past and present, but it doesn’t stop there. I’m not a counselor, but I remember learning in college classes about the difference between Guilt vs Shame. Guilt is behavioral. I did this wrong and I admit guilt. 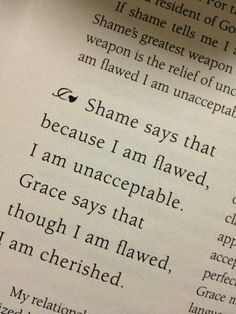 Team Shame takes things to another level, it’s not just the acknowledgment of guilt but it then says you are flawed and not ok. It’s not just that you didn’t measure up in that moment, it’s a heaviness that you cannot ever measure up. It cuts deep. It’s painful. It’s voice is loud and persistent and it’s a heavy burden to live under. Grace doesn’t mean we have a life pass to do what we want, when we want and how we want. It is however the epitome of living in FREEDOM. You can spot a person who is walking with an awareness of the grace that has covered their life because they do walk a bit differently. They walk not in cockiness, but peace. They are not under the weight of shame any longer. 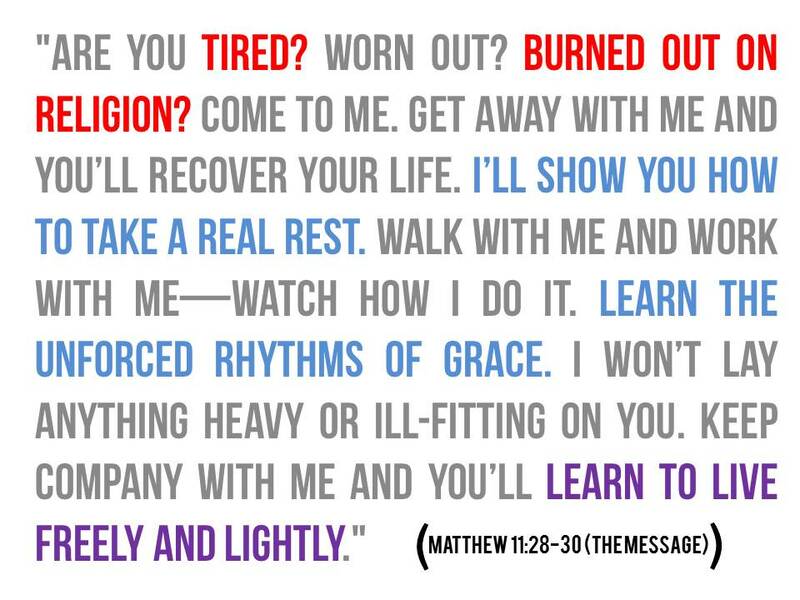 They are VERY aware of the lack and deficiencies in their life, but are learning to walk a walk that allows His grace to perfect their lack and turn it into a strength for His purposes. My own personal walk to learn to be ok with the areas in my life that are just tragical and far below acceptable standards and let him move and be my confidence has really opened my heart to trusting the Lord in new ways. In fact, some of my most intimate and real moments with the Lord have come from me reminding him I cannot do what’s before him, and seeing him make a way and carry me through with a peace and joy that I KNOW did not come from me! Where are you today? Are you focused on the wrong you’ve done? Are you burdened with all the lack and deficiencies in your life? Do you feel like you just cannot make things happen the way they need to? We’ve all been there. Seriously, I’ve so been there. The good news is we don’t have to stay here. Remember the story of Adam and Eve? I shall assume so. If not, check out Genesis. After Adam and Eve sinned, they became aware of their nakedness (lack). Prior to their sin dinner, they never focused on their lack of clothing or even their own sense of self at that level. Isn’t it amazing how we can do the same? It’s not until our sin dinner escapade ends that we realize the real cost and expense of our choices. The distance we feel and nakedness we suddenly become aware of. Do you remember how God responded to them though? His response was to clothe them. He didn’t scold them and expose them for all the garden animal life to mock them and look down upon them. He clothed them. He restored their lack and provided a way for them to be restored to Him. Today, if you’re standing there embarrassed of where you are with the Lord and how maybe you’ve been chilling in the trees eating apples you were told not to eat, and it’s left you keenly aware of both the distance and emptiness that those choices have showered you with….crawl out of your space. The Lord is calling your name like he called theirs. Right now, He is calling your name. He doesn’t want to scold you or expose you to shame you, he wants to cover you. And he wants to restore to you the dignity, purpose, and protection that he has for you. The more we focus on the gift he has given us, the more we realize spending our thoughts dwelling on ourselves is not only going to keep us depressed, but it’s going to keep us from experiencing His love and covering. Your sin has been paid for. 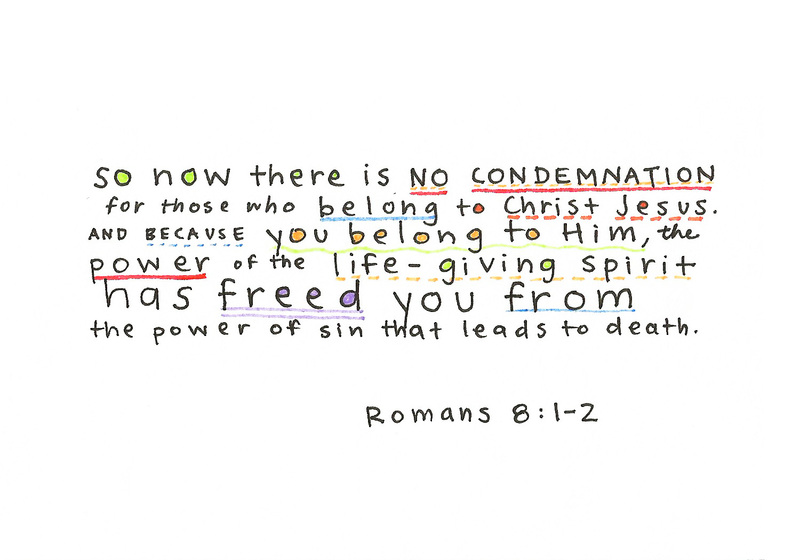 Your life has been redeemed. Your past no longer defines you. Shame isn’t yours to carry. Now, go make yourself a peanut butter and jelly sandwich and read Romans 8: 1-2 and Matthew 11:28-30 till you’ve hidden those word in your heart (memorize it! ).